Introducing the new versatile, USB connected KinetaScan CCD Detector. 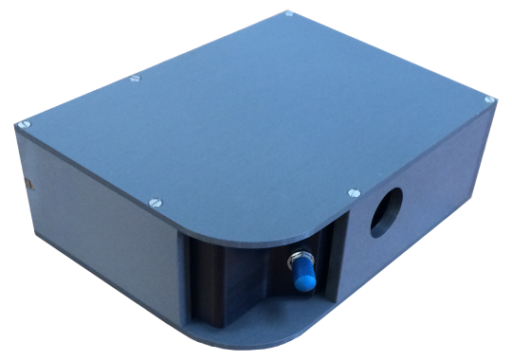 Available for use with research grade Stopped-Flow instruments or as a standalone spectrograph, the KinetaScan CCD is a powerful and highly configurable spectrometer. 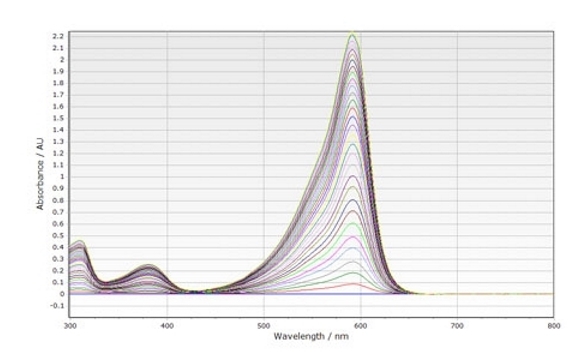 This approach is very efficient in terms of generating much information from limited quantities of reagents – all wavelengths are observed simultaneously. The KinetaScan CCD is a high performance system with better than 1 nm resolution and capable of collecting spectral data between 200 nm and 1050 nm (optimised versions are available for increased resolution over a narrower range or increased sensitivity in the UV or NIR). Under most circumstances spectra are collected at 1.5 ms integration time thus providing valuable information even for relatively fast kinetic events. Key to the performance of the KinetaScan are the well designed optics on all KinetAsyst systems and the custom software control package which is incorporated into the Kinetic Studio control software. The software control enables spectral calibration and the setting of reference levels. Data collection is initiated by the stopping event and spectra are collected, normalised and displayed in true absorbance units. Kinetic Studio allows the collection of spectra with an integration time of as little of 1.00 ms. A logarithmic time base is also available for the study of multi-phasic reactions with both fast and slow phases. Integration times can be adjusted for low light levels or slower reactions. 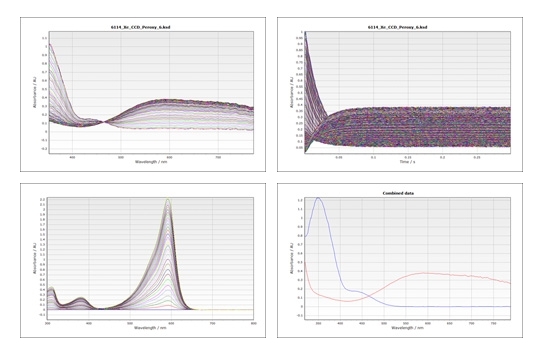 Spectral series can be processed to yield time domain plots either directly or by singular value decomposition and global analysis with tools such as ReactLab and SPECFIT/32. The CCD detector is available for all KinetAsyst Stopped-Flow systems as well as High Pressure, CryoStopped-Flow systems and can be used standalone with Kinetic Studio as part of a custom, modular spectrometer arrangement.